Disney Music Group’s new a cappella group, DCappella kicked off their nationwide tour on January 22nd, 2019 in Jacksonville’s Florida Theater to a full house and left everyone on their feet cheering for more. 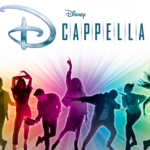 For those of you not familiar with DCappella, they are a sever-person a cappella group that, much like the original Mickey Mouse Club, were brought together after a search for the most talented vocal performer. 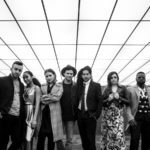 After seeing them live, they found the best of the best. 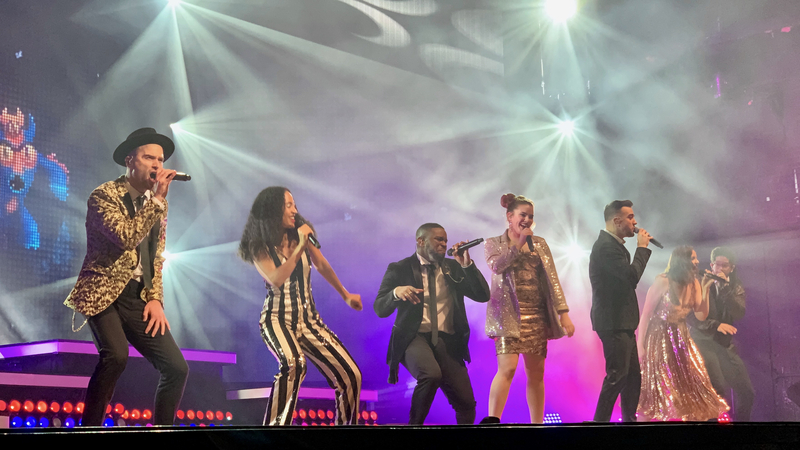 The group is made up Sojourner Brown (alto), Orlando Dixon (baritone), Antonio Fernandez (vocal percussion), Morgan Keene (soprano), Shelley Regner (mezzo), Joe Santoni (bass), and RJ Woessner (tenor) who all not only make it all look easy but also seem as though they are having the time of their lives doing it. 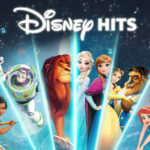 Having only seen them during the Disney Christmas Day Special, I really hadn’t heard much of their music. 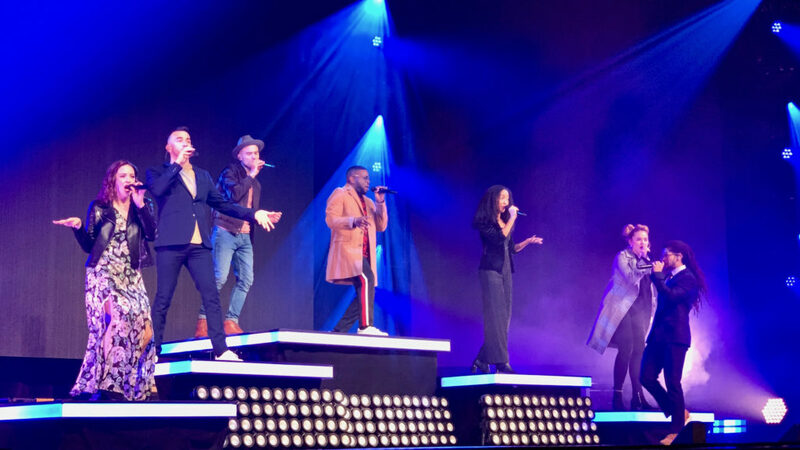 That is, except for Antonio who I was already a big fan of his vocal percussions from Epcot’s “American Music Machine.” This meant I walked into this show with no idea other than it was an a cappella group performing Disney songs and boy was I blow away. With such songs as Moana’s “How Far I’ll Go” and Toy Story 2′s “When Somebody Loved Me,” emotions ran the gamut (tip: bring some tissue), but one of my favorite moments had to be the group performing the 1933 Walt Disney Classic Cartoon Three Little Pigs. When I say performing, I mean doing voices, folly, and singing. This video is a bit of a spoiler, but I could not resist showing it because it does showcase the talents of the entire group. 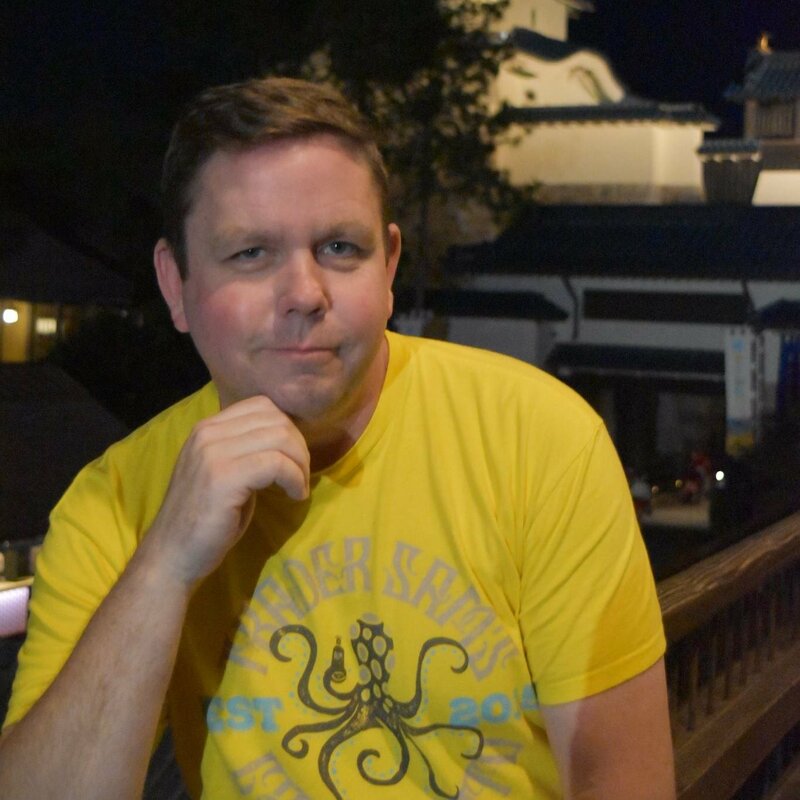 Also, listen for the “hype man” as they called him doing some Rocky Horror Picture Show type call backs…all G Rated of course. As the concert went on, often times I had to turn to my friend and say “this is just their voices” to reaffirm how amazing they were. 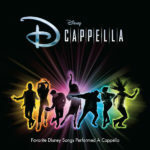 With the full Disney music catalog, I see DCappela doing many many more albums and concerts — all of which I will enjoy! To finish out the night they gave a roof raising rendition of Fall Out Boy’s “Immortals,” from Big Hero 6 that just so happen to be their first single. This high-energy show had me singing along and dancing, both in my seat and on my feet, from start to finish! If you are lucky enough to be in one of the towns the concert is making it to buy tickets now because as word starts to spread they will sell out.